Leading Manufacturer of mix colour polyester sewing threads, mix colour polyester sewing thread 3 ply 150 m and sewing thread mix colour from Mumbai. We have emerged as the leading organization in this domain in offering a wide range of Mix Colour Sewing Threads to our valuable clients. These products are created by our skillful personnel using the highest grade material. Our products are available in ladies gents and English light color 100 tube box in the range of 20 boxes set 3/60 count 3 ply polyester thread. We are a trusted company involved in offering the best quality of Mix Colour Sewing Thread 3 Ply 150 M, which is designed as the set of industry standards under the guidance of our experts. 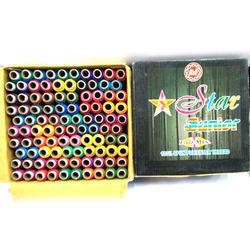 These products are offered in wide range of ladies color and 50 colors in 100 tubes box (50 bright colors). We have successfully established ourselves as a prominent name in the market for offering a quality assure array of Sewing Thread Mix Colour. Our offered range of product is available as per the given requirements of clients. 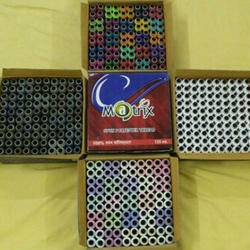 Further, the offered products are available in range 50 colors in one box. Also, these products are offered at very affordable rates. 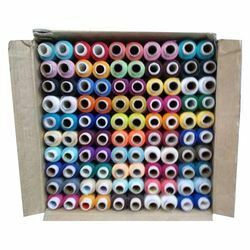 Looking for Sewing Multi Mix Assorted Color Polyester Threads ?